Spinal cord injuries can alter a victim’s life in profound ways. John B. Kenison, Jr. has defended both large insurance companies and personal injury victims. This unique experience provides him the insight to negotiate for all the damages to which his clients are entitled. Mr. Kenison is a spinal cord injury lawyer with more than 25 years practicing personal injury law in Manchester, NH. He is willing to fight for the compensation you need to make a full recovery. If you or a loved one has suffered a life-altering injury, contact Kenison Law Office today. Spinal cord injuries can have a severe impact on victims and their families. 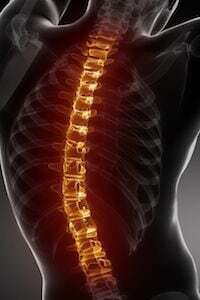 Spinal cord injuries are those injuries that damage the backbone. The spinal cord stretches from the neck to the lower back, and an injury to any part of the spinal cord can cause permanent damage. In most circumstances, the body parts impacted most are those beneath the point of injury on the spine. Anterior Cord Syndrome: This type of injury occurs when the blood supply to the anterior section of the spinal cord is cut off, resulting in loss of sensation or movement. Central Cord Syndrome: As the most common spinal cord injury, central cord syndrome results when grey matter within the spinal cord sustains damage. This injury causes loss of mobility and sensation in the arms and hands. Brown-Séquard Syndrome: If trauma impacts only one side of the spinal cord, it can result in loss of mobility or sensation on that side. Victims may also lose the ability to feel temperature changes and lack sensitivity to pain on the side of the spinal cord that was not affected by the trauma. Common indicators of a spinal cord injury may include loss of sensation or paralysis in body parts beneath the point of impact as well as loss of motor control in the arms, hands, legs, or feet. In a large majority of cases, the accidents that caused these serious injuries were the fault of another party. Negligent parties can be held liable for the victim’s damages. Mr. Kenison has practiced personal injury for more than 25 years, and he is willing to fight for the compensation you need to make a full recovery. At Kenison Law Office, PLLC, we offer spinal cord injury victims a free initial consultation. Victims and their loved ones can meet with Mr. Kenison to review their case and determine their next steps. Call our office at (603) 471-3550 or contact us online today to schedule a consultation.